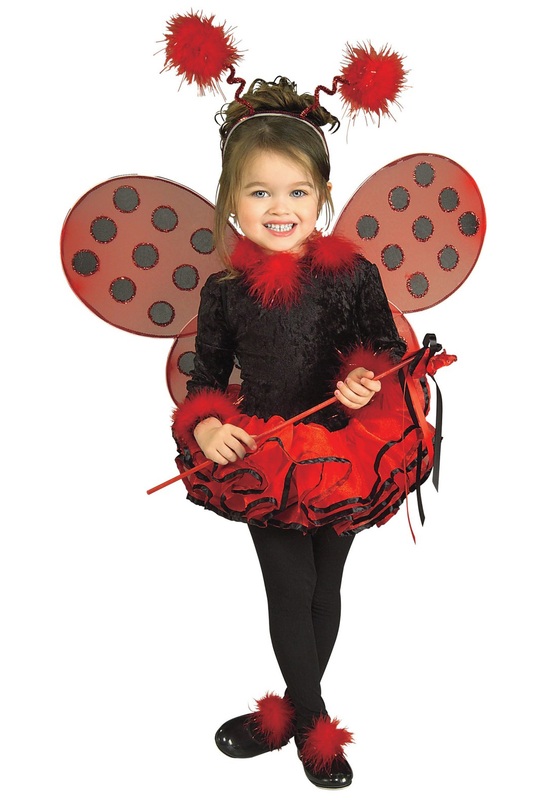 She'll love fluttering about the garden in this deluxe toddler ladybug costume! The girls costume comes with a polyester leotard with a black top that has the feel and touch of crushed velvet. It velcros in the back for closure and has red marabou trim along the neckline and cuffs. The red tutu skirt is made up of two layers and trimmed in black ribbon. The waist is lined with elastic for a secure and comfortable fit. The ladybug wings are red and lined with black sequins. They are decorated with black spots accented with red glitter. The wings are secured in place with elastic straps. The costume also includes a ladybug wand embellished with ribbon, a red headband with shimmering antennas topped off with marabou accents and shoe puffs also made from marabou that are secured in place with elastic. 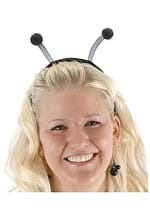 Be sure to also check out our coordinating bee costume!